Salman-n-Rani with debutant Ranbir-n-Sonam Kapoor shine at ‘Saawariya’ music launch, Mumbai. Our cameras captured Sanjay Leela Bhansali as he unveiled his 'Saawariya' stars Ranbir Kapoor and Sonam Kapoor at the movie audio launch event. 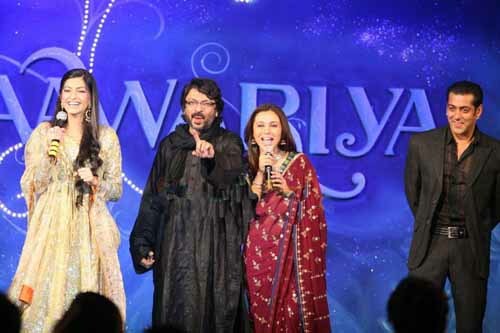 Proud parents Rishi Kapoor and Anil Kapoor looked ecstatic as they personally launched the music of the their kids Ranbir Kapoor–n-Sonam Kapoor’s ‘Saawariya’.